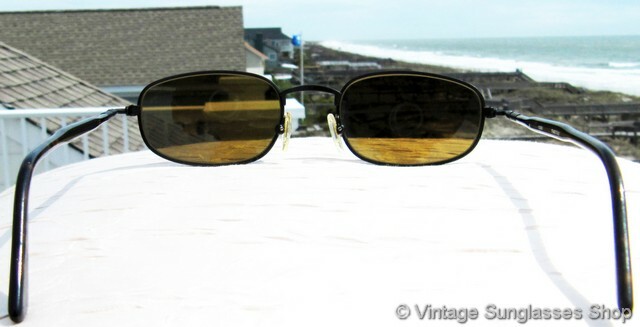 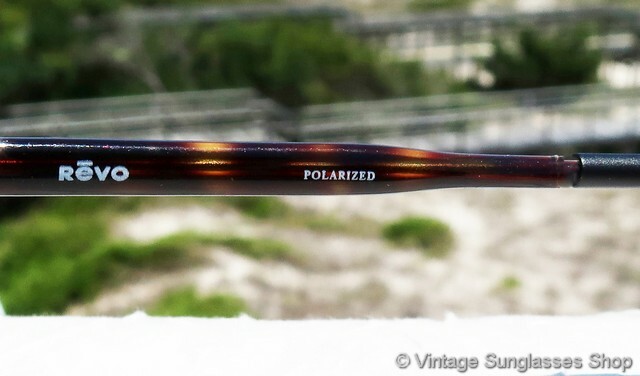 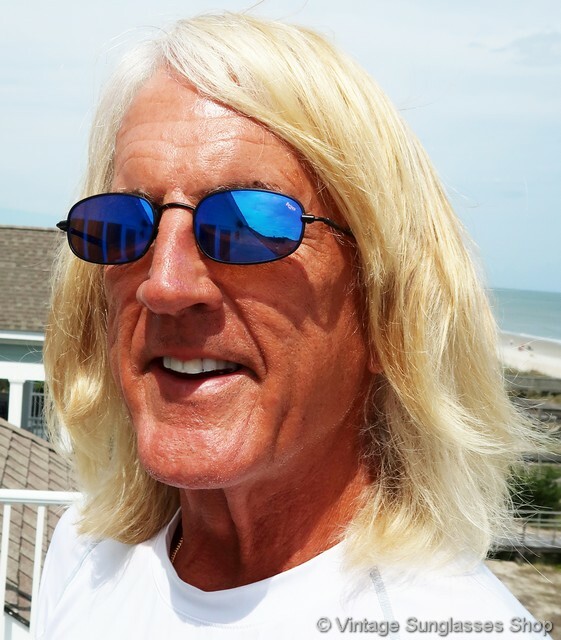 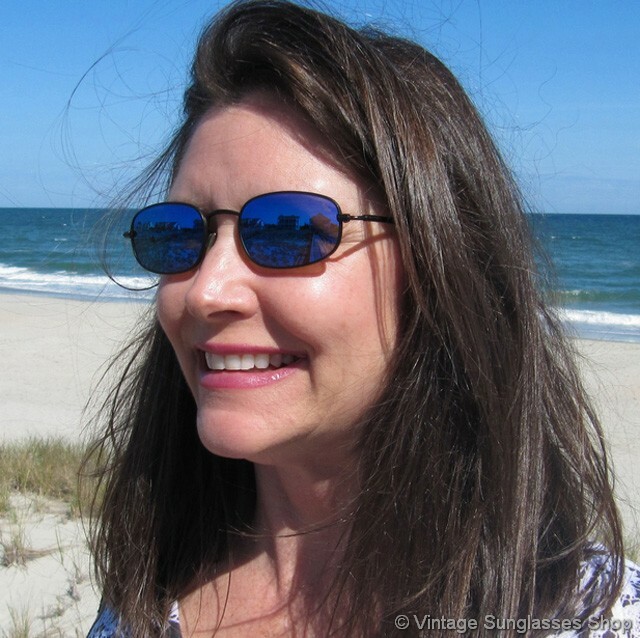 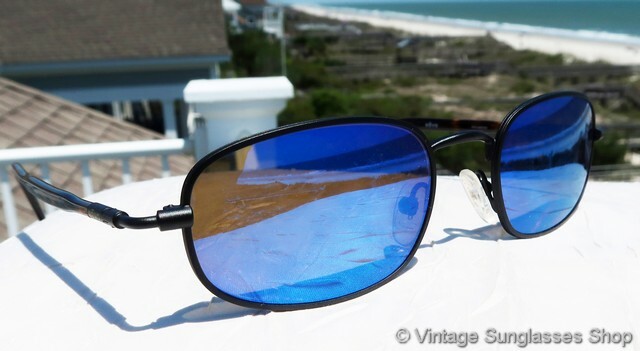 1 Vintage Revo 1122 001 Executive sunglasses feature rounded rectanglular Revo blue mirror H20 polarized lenses and thin tortoise shell ear stems coupled with black metal hinges and front frame. 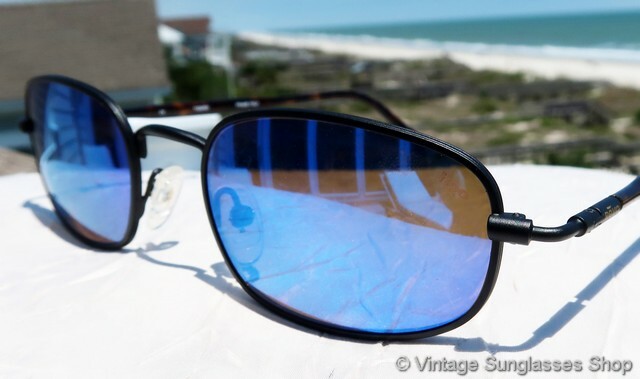 The hinges are distinctive in Revo 1122 sunglasses, a thin black bar at a right angle connected with slightly larger end caps that transition the hinge to the ear stems and to the front frame. 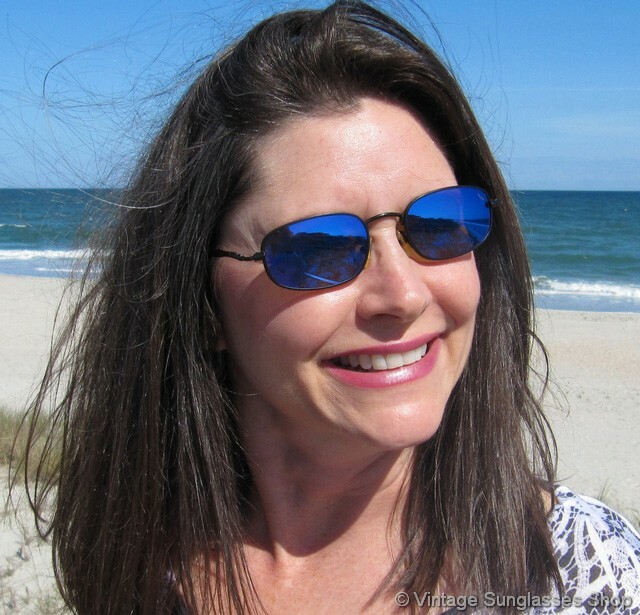 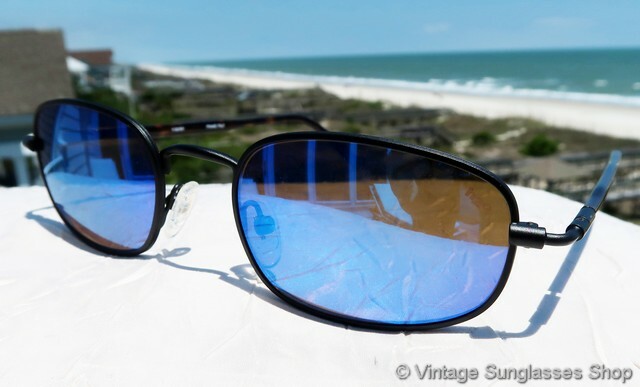 The unisex Revo 1122 frame measures approximately 5.375" temple to temple, and the Revo blue mirror H20 polarized lens measure approximately 1.875" x 1.25" at the widest points. 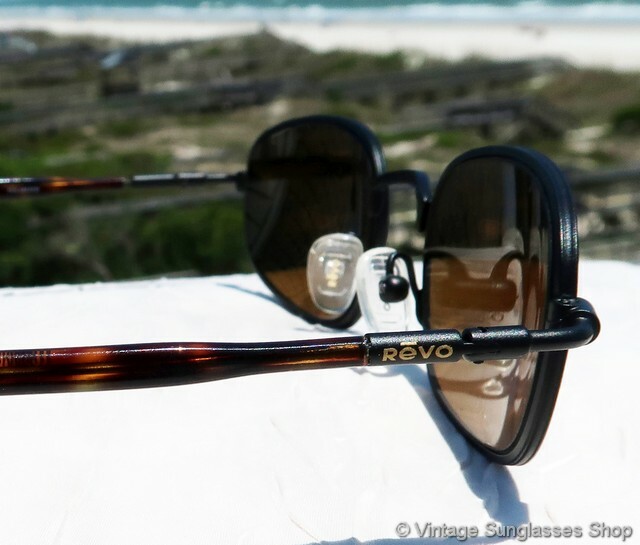 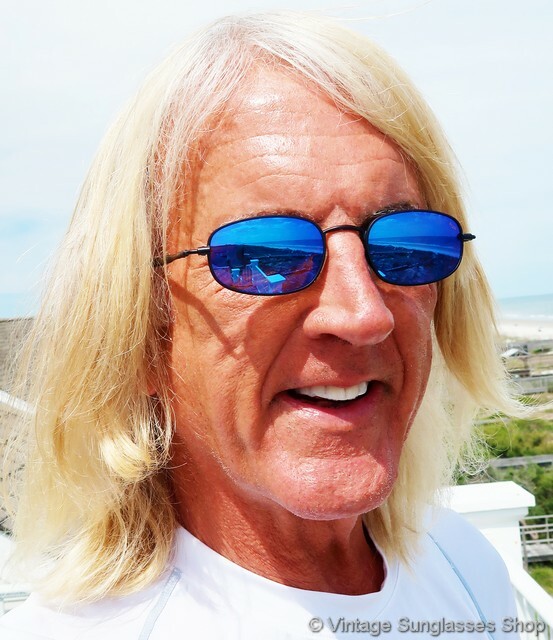 You'll find the Revo logo embossed on each ear stem near the hinges, and the inside of one stem is marked CE 1122/001 Frame Italy, part of a major midwestern estate collection of fashion accessories sold exclusively through the Vintage Sunglasses Shop. 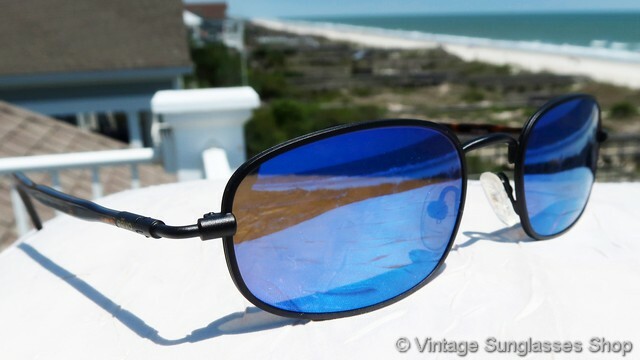 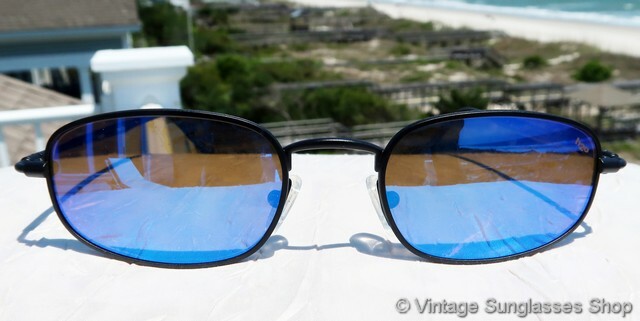 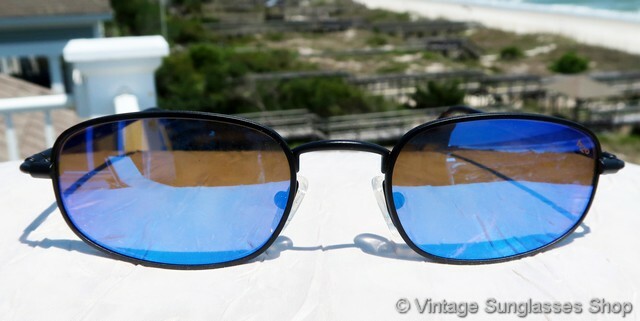 2 Step up another level beyond our already unequaled vintage condition standards with new old stock Revo 1122 001 Executive blue mirror H20 sunglasses in mint, unworn condition.